Raw Dash Cam: Bank Robber Gobbles Up Holdup Note! Thieves Who Stole From Child Get A Public Shaming! Evelyn Border (above) and Tina Griekspoor of Bedford County, PA got some old-timey style public shaming for stealing gift cards that a child misplaced in a store. "I'm just standing out here being humiliated in front of people," Griekspoor said. "I admit we did make a mistake," said her mother, across the street. Both agreed to the penance to avoid jail time for theft of lost property. Sing Sing's good and reliable "OLD SPARKY"
This is one chair nobody wants to sit down on!!! 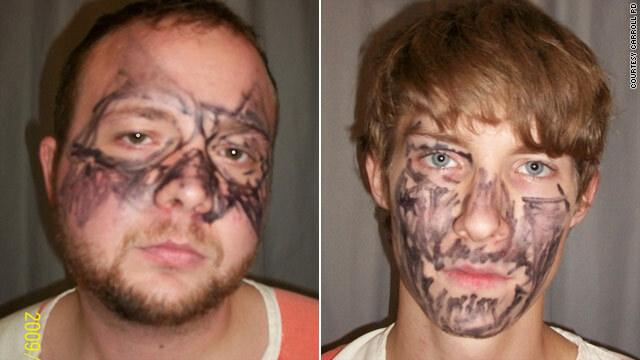 Look at these geniuses during their mug shot! "I've seen a lot of things that make me laugh and weird things but this was probably the best combination of the two."